Mike Eruzione, subject of the hit film, “Miracle” will speak at 8 p.m. on Wednesday, April 10 in Eisenhower Auditorium. This event is part of the Student Programming Association’s Distinguished Speaker Series. Tickets will be free to students with a valid Penn State student photo id beginning Wednesday, March 27. Based on availability, tickets for the general public may be available for free starting Wednesday, April 3. These tickets will be available at the Bryce Jordan Center Ticket Office, HUB Information Desk, Eisenhower Auditorium and Penn State Ticket Office Downtown. More information will be released at a later date. Millions of Americans remember Eruzione as the captain of the 1980 US Olympic hockey team that beat the odds to win the gold medal in Lake Placid. It was his decisive winning goal that beat the Soviet team and stunned the world. 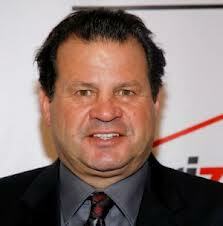 Following the team’s triumph, Eruzione went on to broadcast for network television. He broadcast Olympic commentary from Sarajevo, Los Angeles, and Calgary for ABC, and from Albertville and Lillehammer for CBS. In preparation for the 1994 Winter Olympic Games, Eruzione joined the Olympic Hockey Tour to promote the American team. His role in this memorable moment in history and the lessons taken from it make him a respected and irreplaceable sports speaker for any event. A gifted orator, Olympian Eruzione is an icon of his 1980 storybook team and an inspiration in the face of even the most seemingly insurmountable of odds. A speaker that sets audiences at ease with his friendliness, outgoing nature and quick smile, he is an all-time favorite for all the right reasons. Eruzione and his team’s storybook Olympic tale is the subject of the Disney film “Miracle” starring Kurt Russell as legendary Head Coach Herb Brooks and Patrick O’Brien Demsey as Eruzione.